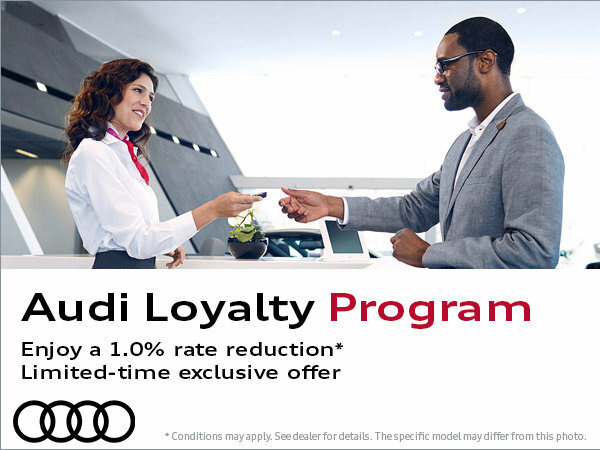 Come to Bill Matthews Audi to take advantage of our Audi Loyalty Program! Enjoy a 1.0% rate reduction for a limited time only. Benefit from this exclusive offer before it's too late! Contact us today at our dealership. I wish to receive recalls, news and promotional emails from Bill Matthews Audi.